Hello everybody! I was brainstorming up some post ideas this past week, and it came to me that I've never really talked about highlighters before! 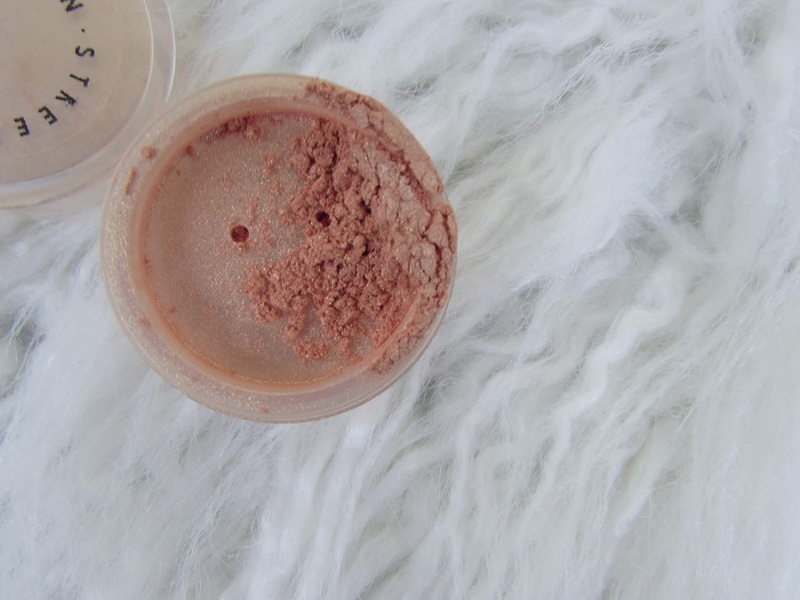 I do have a post on how to make highlighter pop, which you can read here, but nothing on the all the ones that I own. 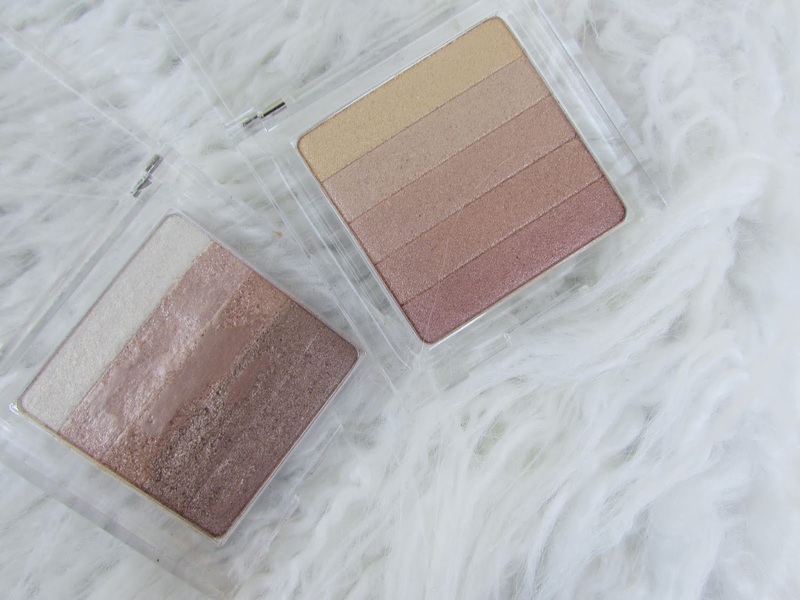 Keep reading to check out the highlighters I've invested in and what I think about them! It was kind of crazy to me that when I was getting all the products together, I actually own way less highlighters than I thought I did. Maybe because highlighters are my favorite makeup products, or because I feel like I use so much of them, but I really thought I had at least 15! Anyway, one reason I love the product is because I adore the glowy skin look. Now that summer is just around the corner, it's about that everyday bronzey-glowy season again. There is one product that I accidentally left out, which I also recently posted about on my Instagram, and that is Models Own Sculpt & Glow Liquid Highlighter in "Luster". If you click here you can be brought to that insta post to check it out. Let's get on with the rest of the post and dive into each individual highlighter you see above! I actually didn't buy this, my little sister did. She was going through her makeup one day and asked me if I wanted this because otherwise she was going to throw it out, so I said sure. Here's the thing though, I don't think I've used it on my face even once. When she first gave it to me, I did some swatches on the back of my hand and I have to say I was not impressed. I like my highlighter to REALLY shimmer-- I want to see that sparkle when I tilt my head in the mirror you know? With these colors, the shimmer was so minimal that it barely felt like a highlighter at all. 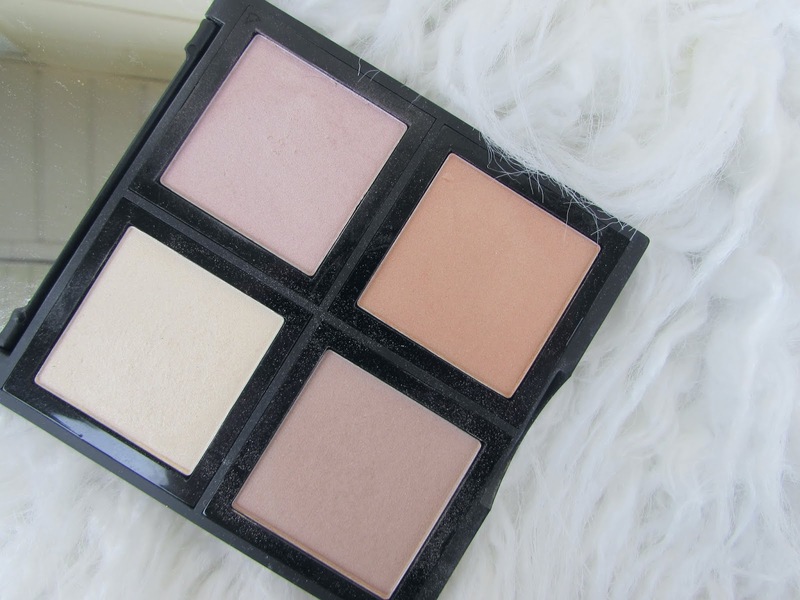 This palette is a bit too dim for me to be using it, but if you want something super soft and subtle, maybe this could work for you. This is one of my most dependable highlighters, last year I think I used this almost every time I did makeup. 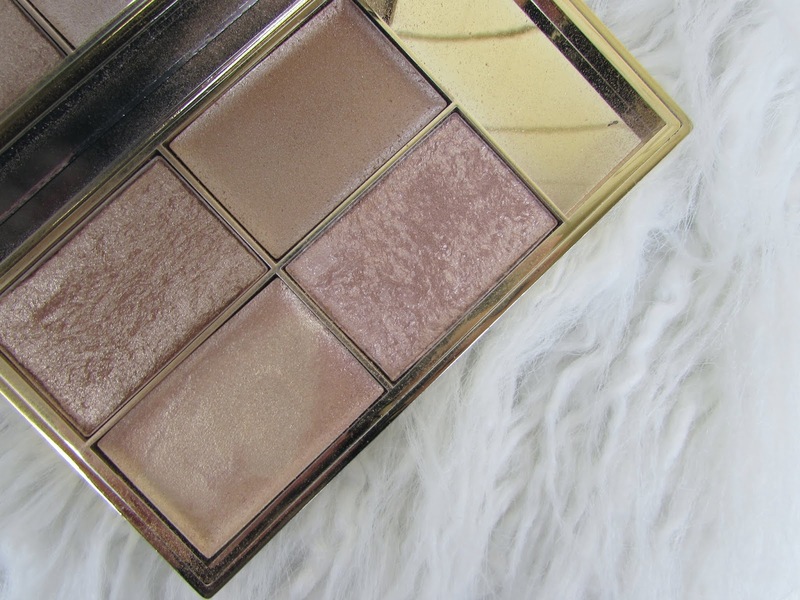 I think E.L.F has a true hit with their baked highlighters, this gives me that shimmer-shimmer I look for that the Illuminating Palette is missing. Plus, I have used this so many times YET you can see there's just a little bit of a dent in it! This is an amazing value for four dollars, and I would say it could hold its own against some of the more high-end highlighters, like from ABH and Becca. I'm bummed out because as I went to their Etsy store to check on the price of this, I saw that the owners still have not brought their business back online. I really hope everything is alright, and it made me kind of sad to see that a lip look I posted on insta is their last recent post-- and that was from November 2016. 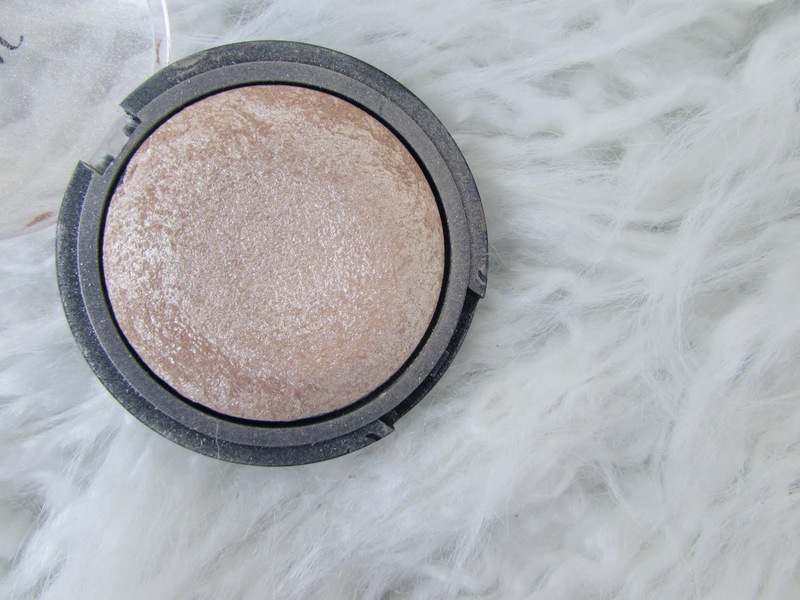 It's a shame, because this loose eyeshadow they had sent to me to review remains THE best strobing highlighter I have ever used. Although an eyeshadow, this super-fine pigment has an AMAZING warm shimmer that makes it look like the sun is shining from within your skin. Why did I stop using E.L.F's "Moonlight Pearls" everyday? It's because this palette came along in my life and I was swept away! My friend generously gifted me this palette for my birthday last August and I've been using it consistently ever since. There are two powders that are super glowy, the top left one is my go-to when I'm doing a full face. There are two creams which are just wonderful when you don't put face makeup on but want a natural, dewy glow. The bottom left is my go-to cream, the consistency is very lightweight and the color is an amazing pure gold. I received this as a gift from an event I went to and I'm really glad that that's the case, because if I spent my own money on this I would be sad. I am a huge Maybelline fan but this was definitely a miss for me. 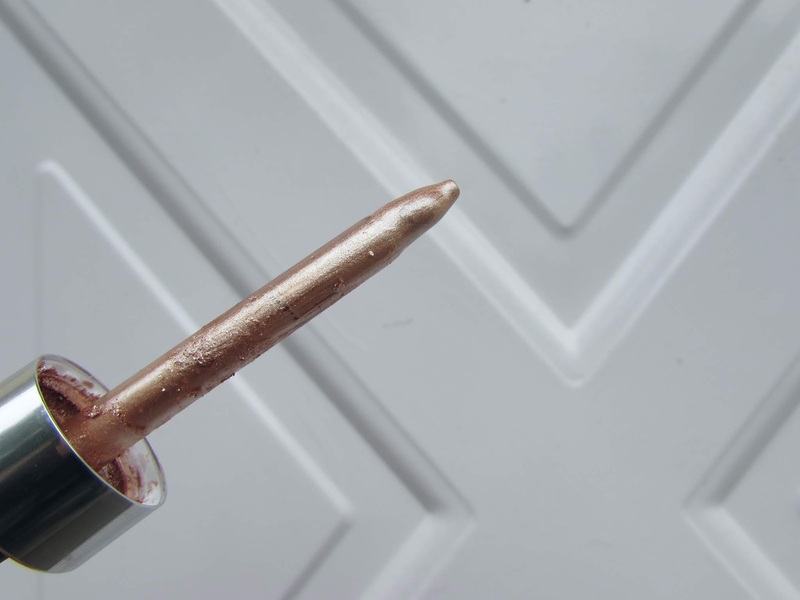 When you take a swipe of this and apply onto skin, the color looks like an extremely faint true purple shine. 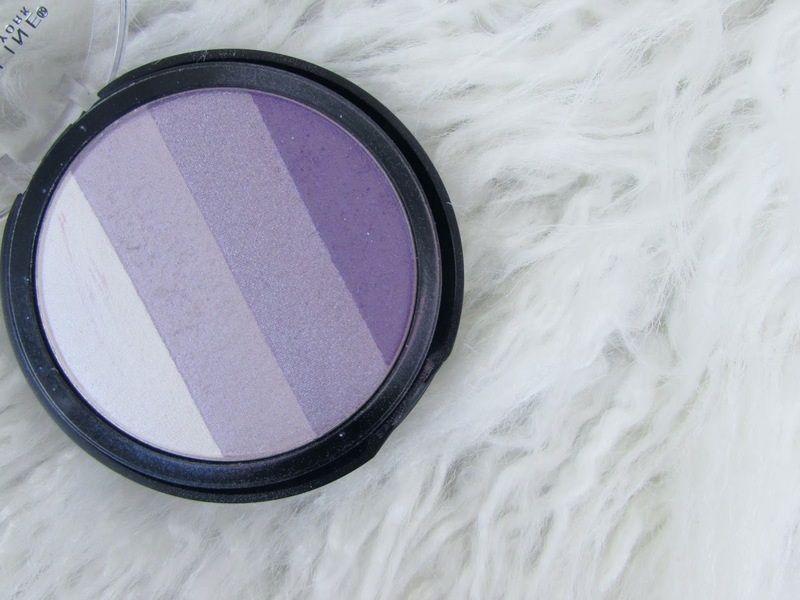 The product does have a cool prismatic effect, but it is still too purple to look good as a highlighter, making it seem out of place on the face. I think this is especially true for me because I have very yellow skin, the only time this was handy was on Halloween when I did zombie makeup.... so yikes. This one is going to be short. Although this seems like a decent product and one with versatility meant to be used for bronzer, blush, and eyeshadow, in the many years I have owned them I maybe used them once. 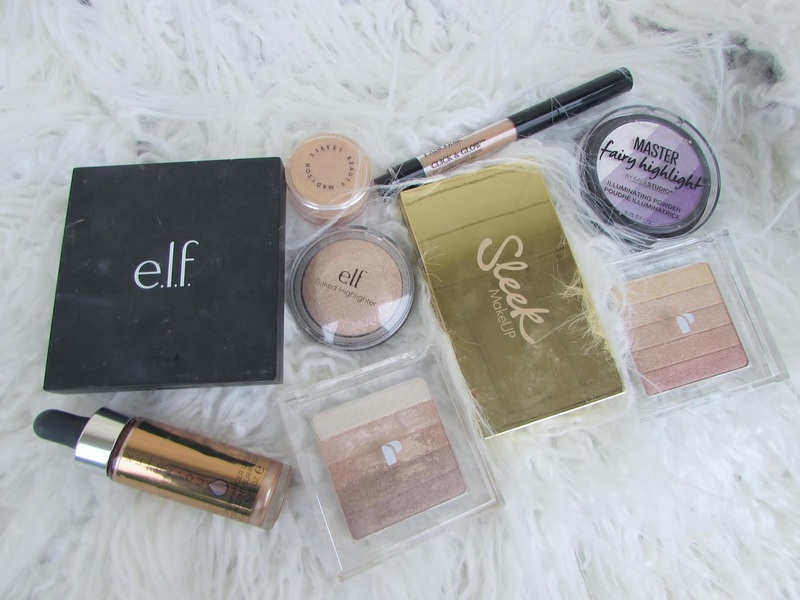 These products give a mediocre shimmer and are just kind of boring. My thing is that I don't like using liquid highlighters so much when I do a full face because I feel like it moves my foundation underneath. Liquid highlighters are reserved for when I don't wear face makeup. However, I have found that this is an amazing travel product. When I'm going away, I try to cut down on brushes and products as much as I can. With this, I just bring the pen and I'm good to go on highlight (I apply with my fingertips)! 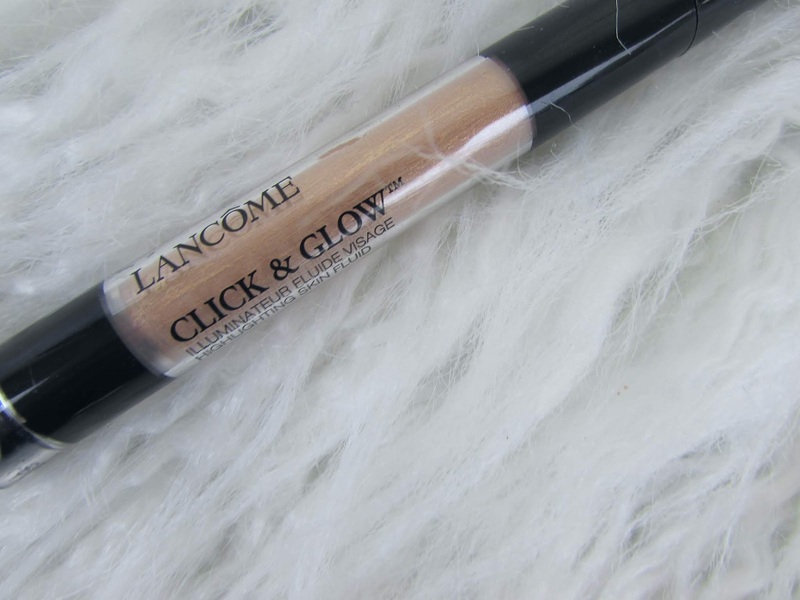 BUT I recently discovered how incredible this works as an inner eye highlight! I click a few times, then use a small pencil brush to apply this on the bottom part of my inner eye and it looks HEAVENLY. The fluid looks like liquid gold, like it's a special effect or something, and really makes the difference in an eye look. Oh boy... I have a real love/hate relationship with these drops. I love them because they are a breathtaking shimmer and glow, as you can see above, and look like molten metals. I hate them because each time you use them you only need to smallest little drop and it's easy to use too much and kill a look. It's almost as if they're too powerful lol. This color in particular is a gorgeous warm bronze, one that is too dark for my current skin tone by a long shot. Even in the summer, I find because the color/shimmer is so strong, I end up avoiding the product all together. There are Insta tutorials using this that use it as a base for the entire face before foundation, and let me tell you those tutorials are totally misleading. I tried it, and while it looks really dewy on camera, in real life its like a big shimmery mess. Anyway, yes these are very pretty but their low use makes me question how worthwhile they are to invest in.